I can’t begin to describe how excited I am about this book. Craft it Up is the brainchild of Zayneb of Zed&Q. A beautiful online store I have come to love. I love their prints, wooden keyrings and plaques and have even had gorgeous custom prints made for wedding and housewarming gifts. Islamic kid’s book enthusiasts would know that nothing like this currently exists. 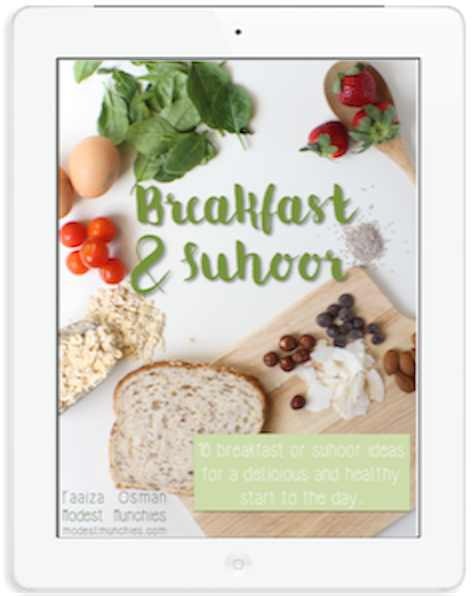 Zayneb clearly knew there was a gap in the market and created something not only for the purpose of filling a need but also serves to educate children about Islam through the use of clever and fun crafts. The book is designed for children aged 6 and above, however I do believe a lot of the crafts can be adapted for a younger audience with a more instructional and guided approach. The crafts do have a feminine touch, I love that I can feel of the personality of the book’s creator come through. But if you prefer a less feminine feel you can adapt the crafts to suit. This can be done easily with the use of other colours, materials, textures and papers (whatever you have on hand) to tailor to the needs and preferences of your child. The book is beautifully presented. 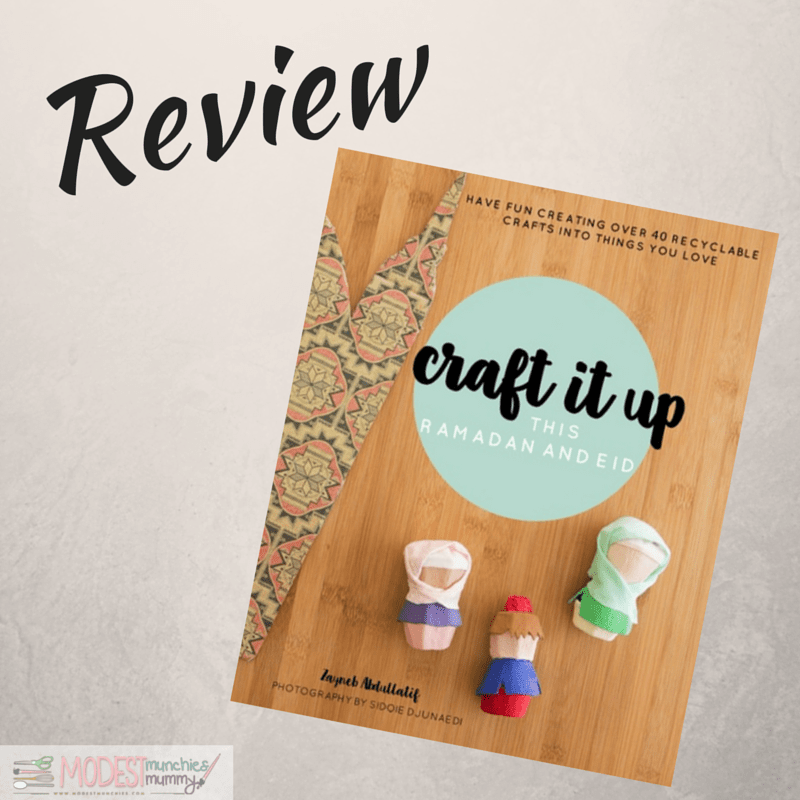 Each craft includes a step by step tutorial with gorgeous pictures and instructions at each step, making this a great book for the avid crafter or even the craft novice. One thing I really love about Craft it Up is that you can make all the crafts using things your already have lying around. It is so important to teach our kids about reducing our waste and recycling. It is not only our duty as citizens of this planet but also as Muslims. The crafts are a great way to facilitate discussion and engage with children about meaningful Islamic topics. I can already imagine all the discussions that will be started and all the questions that will be asked. Something as simple as a ‘Sadaqa Sheep’ or some ‘Good Deed Sticks’ can be all that’s needed to engage children in a fun and exciting way. 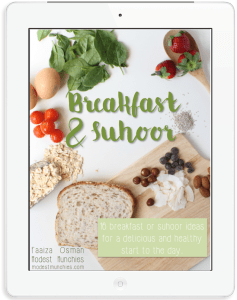 Zayneb also includes useful tips for parents as well as important Islamic tidbits that can be read to children. We’ve already started our own Ramadan traditions, last year we made a countdown calendar and did activities each day of the month and even had a craft party. I know I’ll definitely be pulling this one out to use in some of our Ramadan activities this year. The ‘mini Mu’min’, the ‘good deed sticks’ and the ‘play mosque’ are already on my shortlist. I think I’m almost more excited than my little one will be. You can buy the Craft it Up directly from Zed&Q or purchase from Amazon. Disclaimer: I received a digital sample of this book to conduct a review. This post contains Amazon affiliate links.